I often forget to take “before” photos, but here’s the closet in a home office of a jewelry designer. You can read more about this project on my blog. 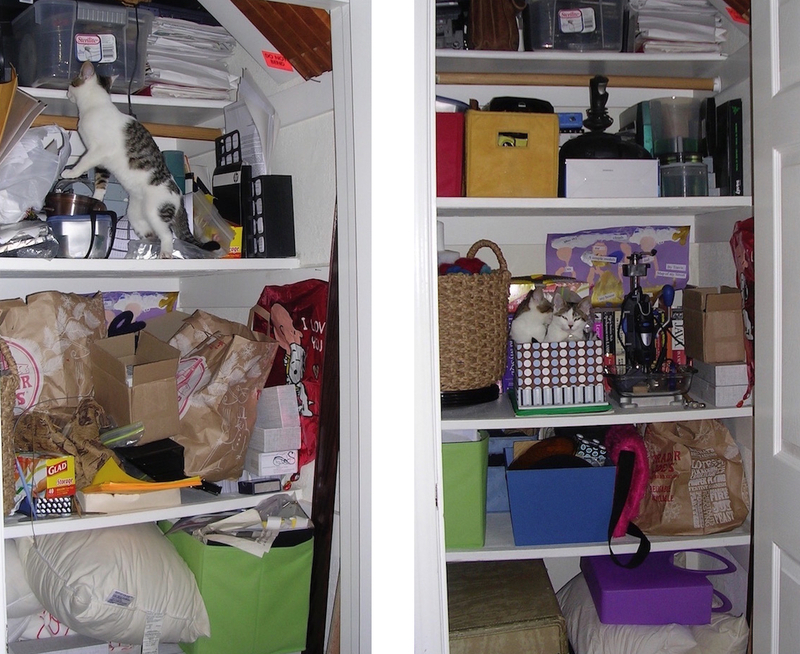 And you can also read about another project (with more photos) tackling the closet in her sons' bedroom.